Beach Village: everything you need in one place. On the beautiful island Koh Phangan, we’re giving you something way more than just the Full Moon Party. The Beach Village is a beachfront “village style” resort offering everything you need in one place to help make your stay as relaxing, stress-free and pleasurable as possible. Situated just 5 minutes from Thongsala pier and 20 minutes from Haad Rin's Full Moon beach, we're perfectly situated to offer you easy access to all of Koh Phangan's best parties, whilst being far enough away to fully relax in a stunning beach side location. A bungalow for every budget. 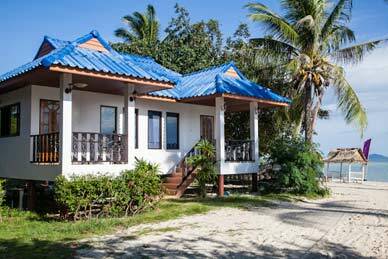 We have beachside bungalows, garden bungalows, even luxury poolside bungalows! 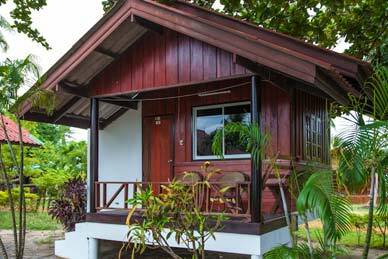 Each bungalow is tastefully decorated and comes at an affordable nightly rate. 4 person dorms, 8 person dorms, all the way through to a massive 32 person party dorm. If you're travelling alone or socialising is your thing, we've got you covered! A perfect place to unwind with a few cocktails. The Tiki Bar is perfectly positioned to be close to the pool, and give you stunning views of Ko Samui on the horizon. A popular spot for people looking to hang out during the hot sunny days and nights of Ko Phangan. Feeling hungry? 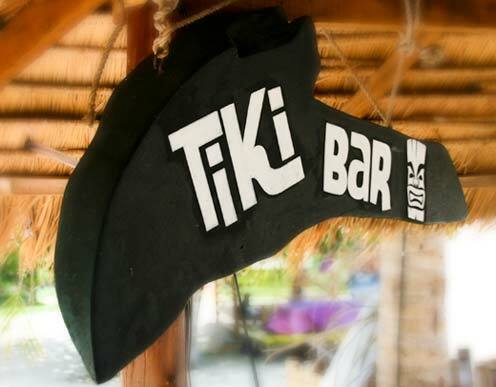 No problem, you can order everything in you can from our restaurant at the Tiki bar! The showroom is the ultimate chill out area. 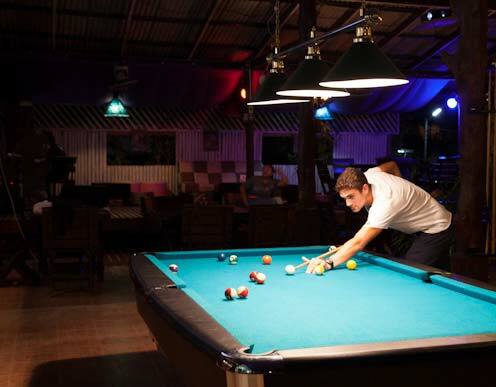 A place where people meet and socialise, keep abreast of life at home whilst laying horizontal on some of our super comfortable cushions, or playing a game of pool or table tennis with some friends. The showroom comes with top class restaurant serving everything from Thai to Western food at highly affordable prices. The Ku Club is Beach Village's very own nightclub. Well known across the island for attempting to push the boundaries of music that gets played on the island with regular nights spanning various genres of music. Tastefully decorated with white walls and with a beach front location, the Ku is seen as one of Koh Phangans unforgettable nights out.